MNet Releases a BTS Video of a Mushroom. Wait, what? MNet’s twitter sub-account (@Mnet_Dancing9) dedicated to providing updates, news and content on their new dance survival show ‘Dancing 9‘ recently released a short BTS video of our cute and bubbly mushroom on the studio set, giving support to Hyoyeon and impliedly, Yuri as well. If you haven’t had your daily dose of Tiffany’s smile, here’s your chance now! Tip: Play it in HD. The leader-maknae duo Taeyeon & Seohyun have both reprised their roles as Margot and Edith, respectively, in the to-be-released Korean version of Despicable Me 2 (the Korean title is Superbad 2). A short video was recently released of the two members doing the voice-acting for the animated characters and asking fans to look forward to the film. Recently, Taeyeon, Tiffany and Sunny headed to L.A as invitees to the L.A Dodgers vs Cincinnati Reds game. As a celebration of Korea Day, Taeyeon performed the Korean national anthem, “”Aegukga (Patriotic Song/Song of Patriotism)” while Tiffany sang the American national anthem, “Star-Spangled Banner“. The opening pitch of the game was thrown by Sunny. Sunny’s pitch has received a thumbs up from fans (because any pitch is better than a JeTi pitch) while Taeyeon and Tiffany both received praise for the performances, with Korean netizens noting how well they did. 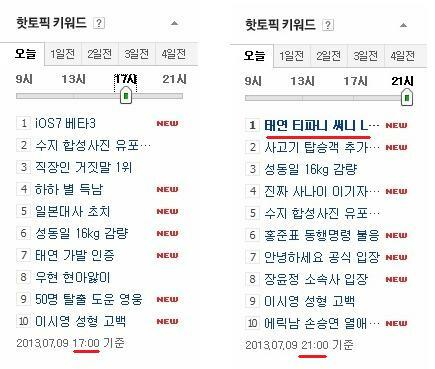 The event has been one of high public interest; when it was announced the three girls would be in L.A singing the national anthem earlier this month, the search phrase “Taeyeon Tiffany Sunny L.A Dodgers” became the number one most searched in a matter of hours on popular korean portal Naver. The stadium was packed with SNSD fans who got to see the girls up close, and for the rest of us, here are some vids/cams. 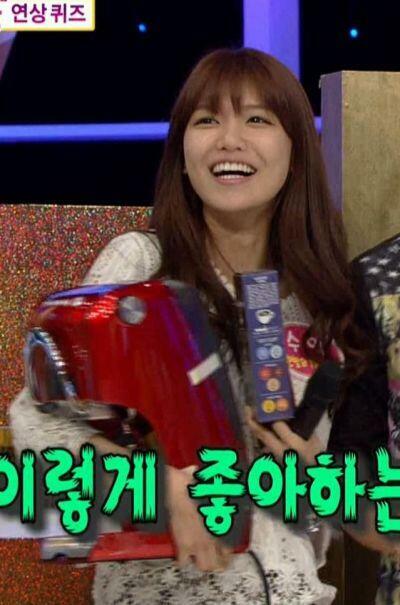 snsdkorean has been a little dead for the last two weeks (sorry! >.<), but a heavenly angel by the name of Tiffany Hwang has resurrected us with the sheer power of her beauty! Our regular updates will resume starting now with the BTS videos and video-cover from Tiffany’s recent photoshoot with CeCi magazine, enjoy! In order to promote their upcoming show, Dancing9, M.Net’s youtube channel has been releasing videos showing the reactions of Hyoyeon and Yuri to some of the performances on the show. This one, released a couple days ago, took fans by surprise as it shows Yuri becoming emotional while watching contestants dance. SM’s newest solo act, Henry, whom you might also remember as one of the M-members of Super Junior, has collaborated with genius Seohyun to perform a special duet of his song, “Trap“. 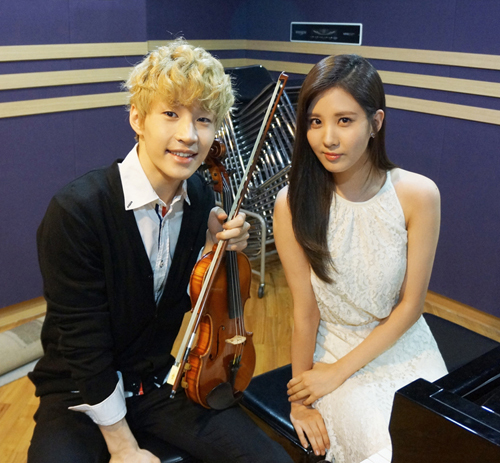 Like Seohyun, Henry can play the piano, violin and guitar, and has been learning instruments from a young age. The two are definitely super talented and the duet is really beautiful to listen to. Everybody go thumb it up and watch it 100 times so that SM knows we like it and gives us more! WHY AREN’T INSTRUMENTAL PERFORMANCES A REGULAR THING? ?